Cabinet warm air heaters are the ideal solution for heating and controlled ventilation of medium and large areas such as workshops, laboratories, industrial halls, warehouses, gyms, shopping centres, exhibition halls, theatres, churches , etc. The operating principle is simple, reliable and extremely effective: cold air sucked by the fan is conveyed towards the heat exchanger, warmed up by the combustion that develops inside it; when crossing, the air raises its temperature and then it is distributed in the room to be heated. The heaters also allow the ventilation of the environment during the summer season.The benefit of the “dry” heating technology is to directly and immediately transfer the heat produced by combustion in the environment to be heated, without use of intermediate heat transfer fluids such as water (as each intermediate heat exchange involves thermal losses and further system complexity), ensuring a high overall efficiency of the heating system, combined with a very low thermal inertia. These distinctive features make the installation of our industrial gas fired warm air heaters particularly advantageous in cases where rapid, reliable, intermittent or occasional heating is required or where there is a risk of freezing. 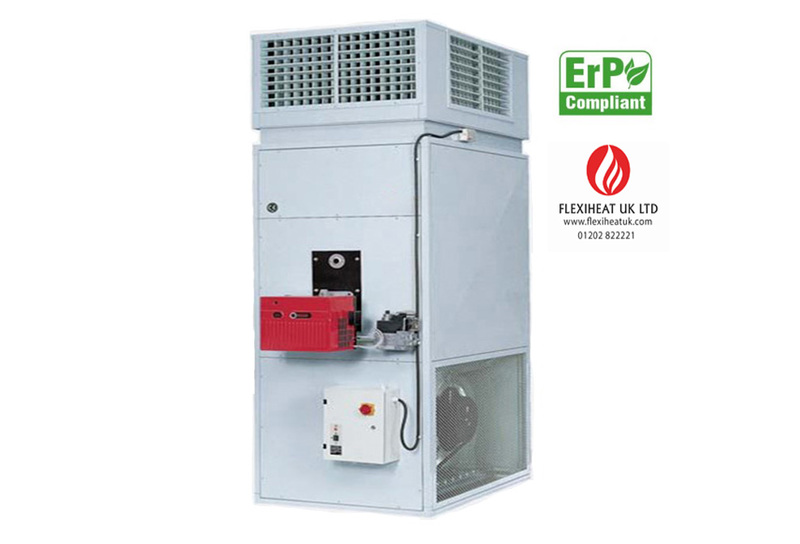 Flexiheat industrial gas heaters require very little maintenance and ensure durability and reliability over time. 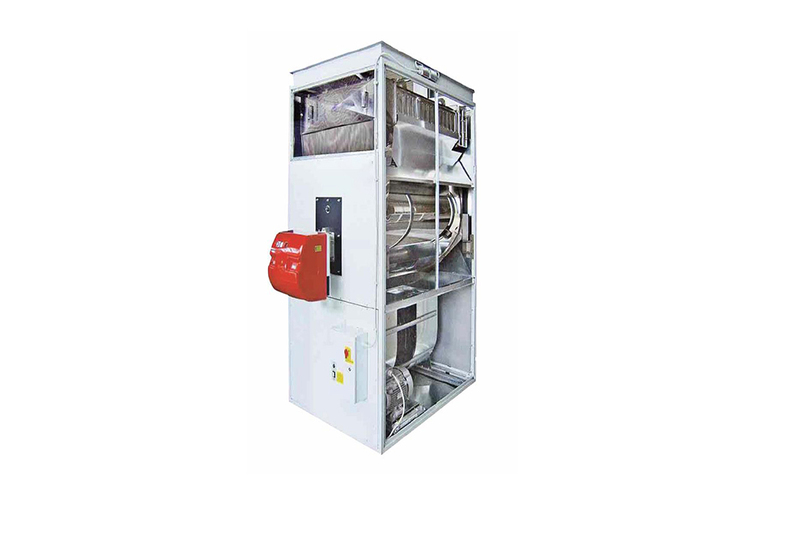 These gas industrial heaters are the most efficient gas war air heaters on the market.Our gas industrial heaters which are designated the “ENERGY” series of warm air heaters are designed to be combined with gas burners ( either natural gas or LPG gas ) with variable heat outputs, with either two stage or modulating burner regulation. 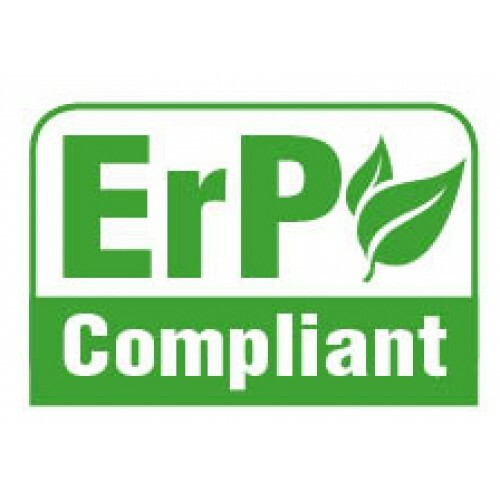 In reduced thermal power operation, the temperature of the fumes is lowered until the condensation of the water vapour level contained therein is achieved, ensuring that these industrial warm air heaters work in the condensing mode and achieving efficiencies higher than 103%. The variable thermal power output also allows for a quick and effective warm air heating of the area in question. When the room temperature reaches the set point, operation at a reduced power (kW) output allows the maintenance of comfort warm air heating without inconvenient temperature fluctuations that can occur, at a low thermal power,warm air condensation system and with reduced supply air temperature. These features allow not only an ideal comfort, but also important savings in your heating running costs. In applications with high or total external fresh air supply, the variable thermal output keeps the supply air temperature constant as the external environmental conditions change. Flexiheat cabinet warm air heaters can be equipped with an outlet plenum, sometimes referred to as a warm air distribution head – for direct diffusion of warm air into the environment or can be supplied with no warm air distribution head so the can be integrated into warm air ducted air distribution systems. 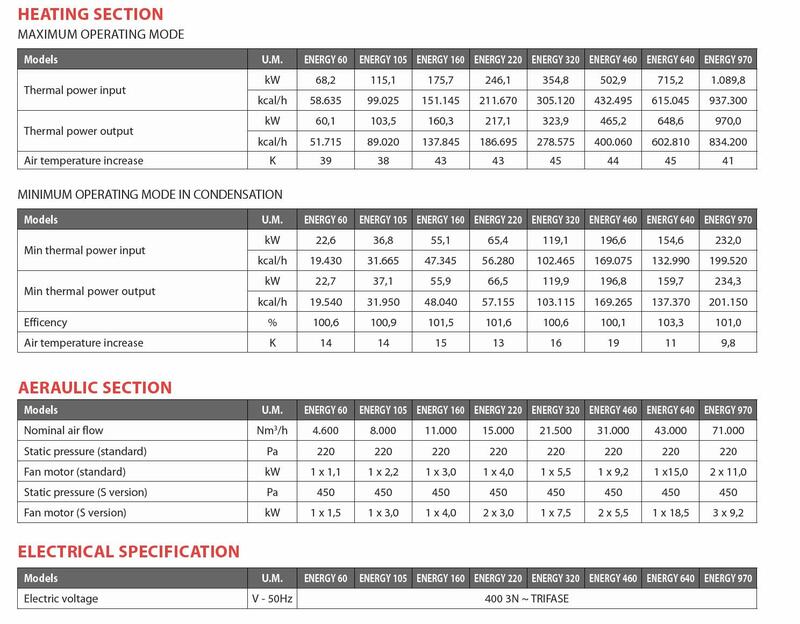 In case of warm air ducted systems, according to the air pressure required by the system, high pressure versions are available. The standard versions are designed to heat air an incoming air temperature of minus (-) 15 ° C coming into the heater,but versions suitable for operation in extremely cold climates with an incoming air temperature of minus (-) 40 ° C are available. Flexiheat’s range of gas industrial heaters or warm air heaters is very complete, and covers a wide range of kW outputs and responds to the most diverse needs with models for vertical, horizontal, indoor and outdoor installation. The wide range of accessories allows to complete the installation quickly, making these units great as factory gas heaters or warehouse gas heaters and obtain the best comfort and energy saving performance from our industrial gas space heaters. An environmentally friendly and high efficiency Industrial Gas Burning Heater ( be it natural gas or LPG Gas ) has always been our objective.For this reason we combine our industrial warm air heaters with gas burners of the highest technology and reliability, in order to obtain “clean” combustion. Minimal environmental impact, protection of the environment and at the same time much lower maintenance costs thanks to maximum protection of the heat exchange surfaces… the advantages of our industrial gas burning heater range are never ending ! 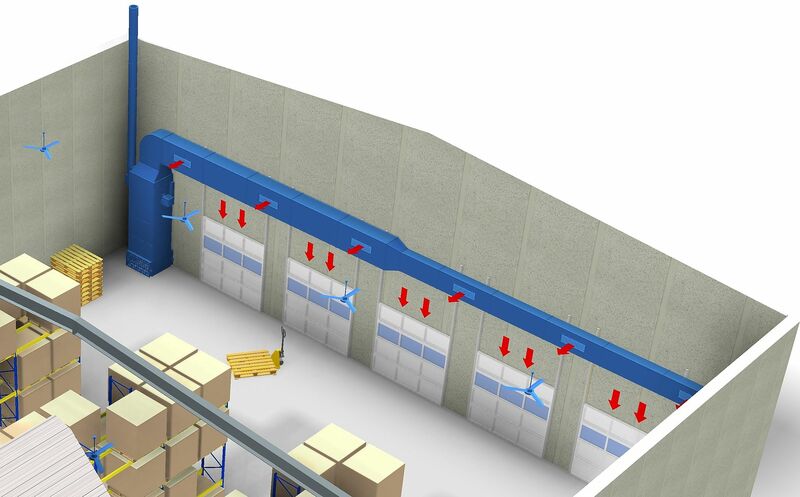 Dedicated principally to industrial warm air heating applications such as processing plants, industrial furnaces and controlled temperature environments with a high level of air filtering. This version can also be used for the heating of industrial environments. Automation and thermo regulation systems can be designed for every application.Below is our industrial gas blower heaters, configured for a ducted warm air heating system, which has an up-rated fan pressure. The Combustion Chamber used in these industrial gas fired air heaters consists of a cylindrical flame inversion combustion chamber, in AISI 430 stainless steel resistant to high temperatures, of large volume and low thermal load, with circular or ellipsoidal profile, complete with inlet with burner plate and flame control hole. Heat exchanger tubes made entirely in AISI 304 stainless steel, suitable for the heater operation with reduced thermal power in condensation. Fumes tubes have a flattened tubular section with staggered and opposing turbulent imprints, with special reticular structure turbulators for maximum heating efficiency, complete with front and rear manifold with detachable inspection door, entrance for chimney connection and connection for condensation drainage.The heat exchange surface is very extensive and its resistance to high temperatures is exceptional. • Fan-limit safety thermostat/s, for automatic control of ventilation group and for the safety stop of the gas burner in case of abnormal overheating of the air. • Electrical panel for command and control with general switch. We also do a full range of gas fired air heaters industrial , that can be either floor mounted or suspended from the ceiling or the wall,should the floor space be of a premium or it’s impractical to fit these Industrial gas fired heaters at that location.